The school incorporates natural ventilation through a vented facade and openable windows, which cross ventilate classrooms via a central chimney - saving money, building space and simplifying the construction. An important stage in the acoustic design of a building is an environmental noise survey of the existing site, a service provided by MACH Acoustics. 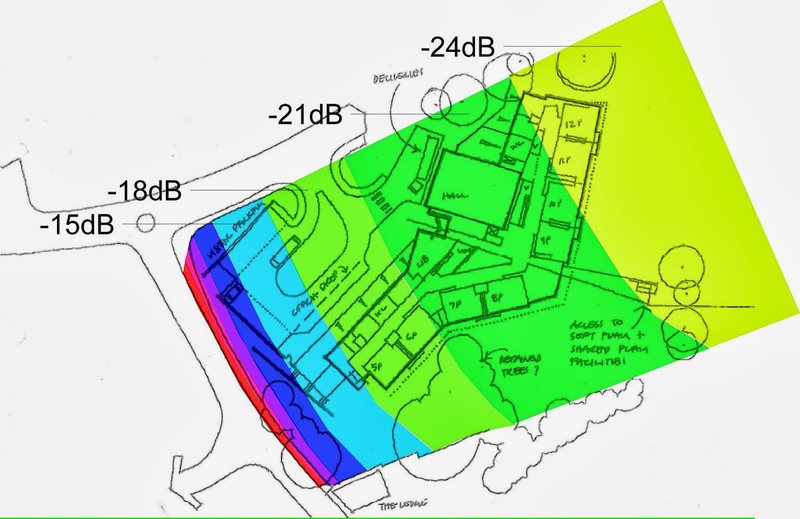 Using the data collected, a dynamic noise map was constructed and used to access the noise levels at each facade and the resulting noise break-in within the teaching spaces. It was clear that the site was not particularly noisy and that an open window would provide enough attenuation at the facade facing away from the roads - simple and low cost. A ventilation strategy was developed in close coordination with Stride Treglown Architects - using the sound map - which efficiently attenuated noise on each facade. 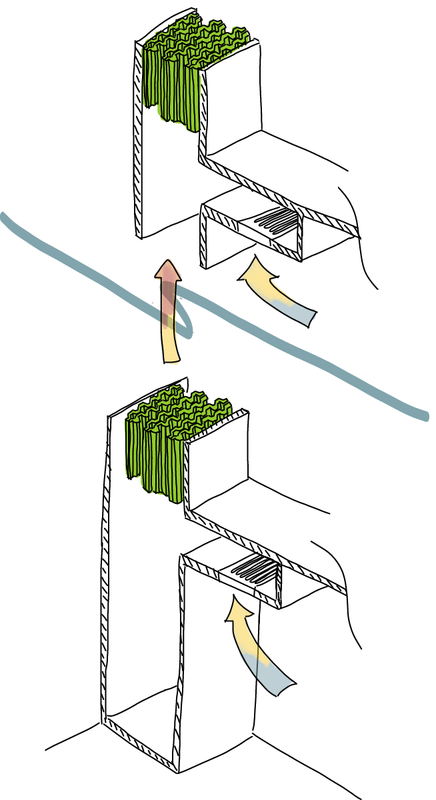 On the noisy road facing facades, a cedar shingles feature created a duct, with intake perpendicular to the ground and containing the NVA. A 90deg arrangement like this increases attenuation and minimises impact on building space - highlighting the bespoke design options that the NVA offers. The quieter rooms with central chimney simply used openable acoustic windows. 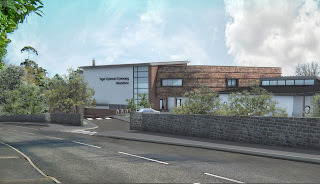 The central chimney shown above is the highlight of the natural ventilation project. Each stack of classrooms featured a small sqaure chimney, which vented out through natural vent towers on the roof of the building. Details of the this are shown on the right. A testament to the NVAs versatility whilst maintaining class leading acoustic performance, the build was impressive architecturally whilst naturally ventilating and meeting both BB93 and BB101 requirements as a teaching space. 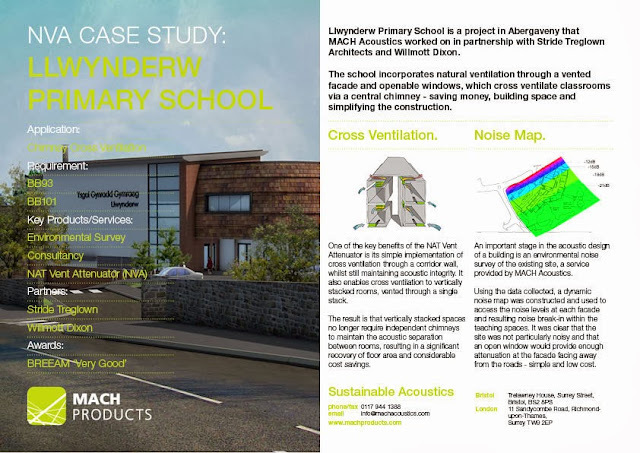 Thanks to a partnership between MACH Acoustics and Strides, the building received a BREEAM ‘Very Good’ rating and was well received by parents, pupils and residents of the area.